Lou Simon"s All Girls Weekend (2015) has an official trailer attached to the film available below. This trailer does not reveal much but does set a certain amount of expectations. We also included the poster/key art below. 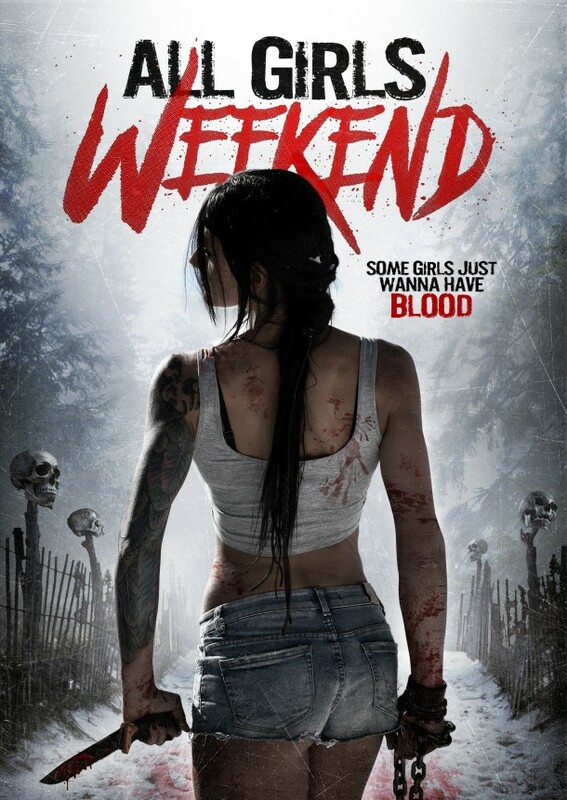 Jamie Bernadette, Katie Carpenter, and Gema Calero star in All Girls Weekend. Childhood friends try to rekindle their friendship during a weekend in the mountains. Soon the women get lost and now, alone and hungry, they must battle the elements, each other, and an unforeseen force that is determined to stop them from leaving. From the visionary Lou Simon, director, comes All Girls Weekend starring Jamie Bernadette, Katie Carpenter, Gema Calero, Karishma Lakhani and Sharron Calvin. All Girls Weekend available on demand July 12.